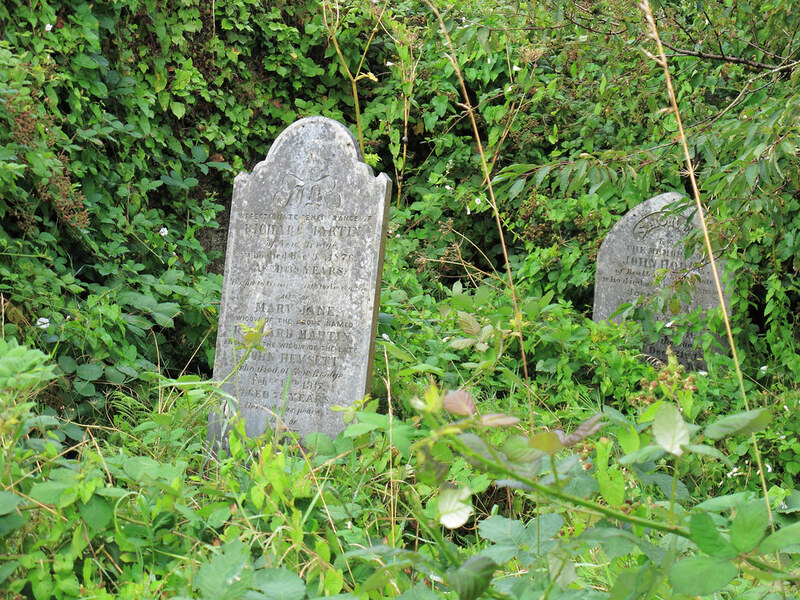 While on holiday in Cornwall I discovered this old and neglected cemetery that was being taken over by brambles, nettles and bind-weed. 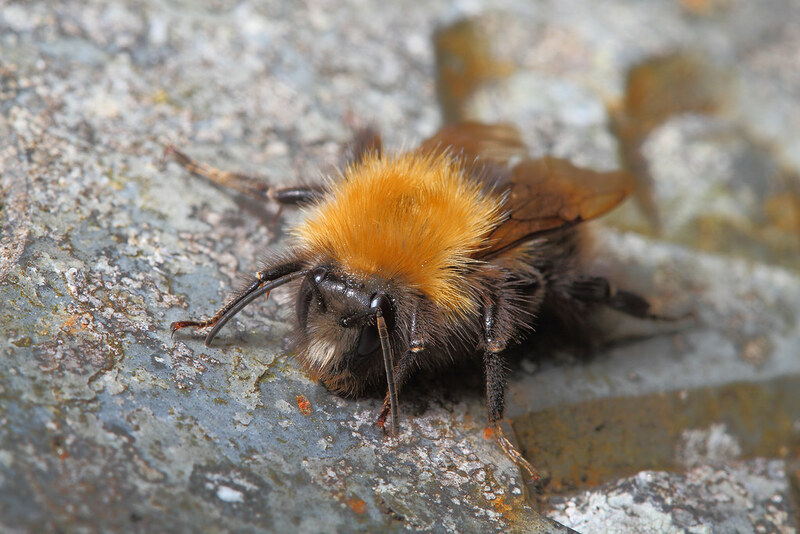 Over a period of time, as the tombstones heated up to the sun's warmth I noticed that crickets, bumblebees, spiders, flies and even robber flies would cling themselves to the stones in order to warm themselves up. The pictures that follow are a selection of the insects I managed to capture sunbathing on these tombstones. I found it rather poignant that these tombstones that would naturally be thought of as cold and inanimate stone, associated with death, were actually warming up as if alive while becoming magnets for all different life forms. 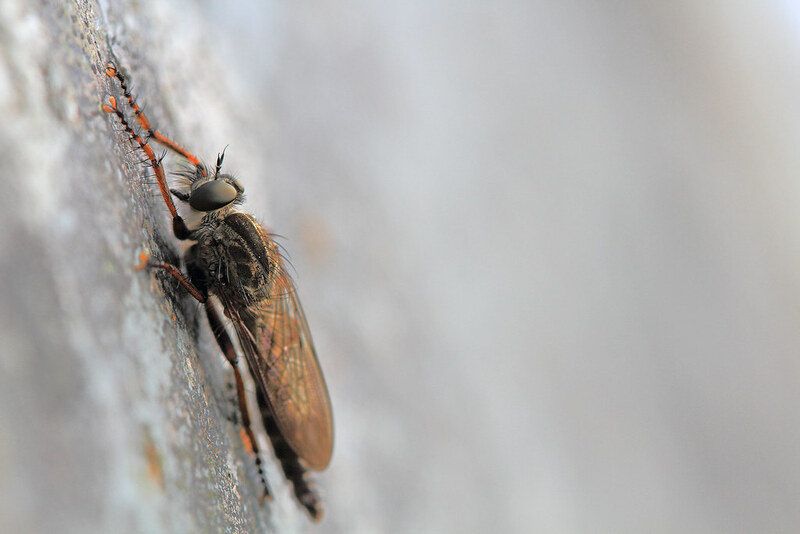 This Robber Fly appears to be stretching himself as if to try and absorb as much of the warmth radiating from the tombstone as possible (hand held, Canon 100mm USM Macro and natural light). 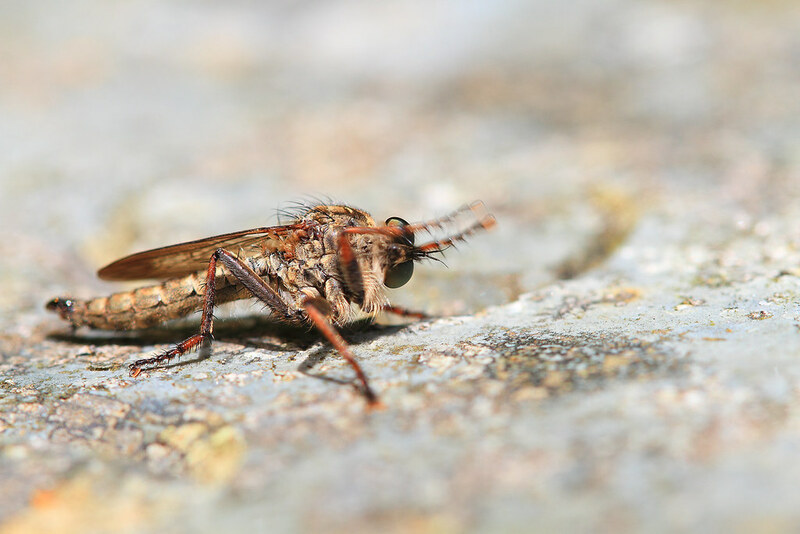 In dog like manner the robber fly comically scratched himself as if to relieve an itch. Please note that all the insects were lying in a vertical position on the tombstones and that for aesthetical reasons I have rotated them in Photoshop so that they appear to be lying horizontally. The tombstones were also popular with the bumblebees. The crickets seemed to have a predilection for climbing up the tombstones, particularly early in the morning. 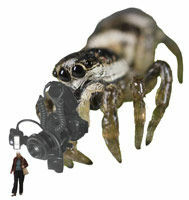 Even a spider took a liking to the tombstone. 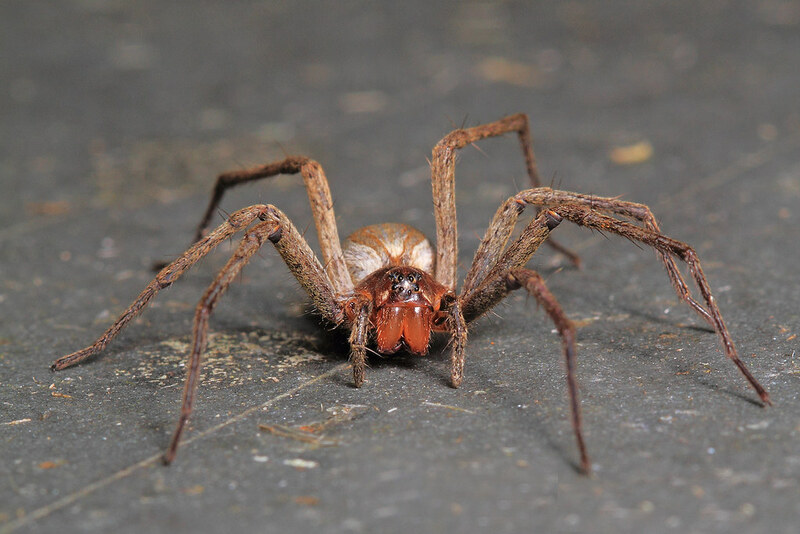 Any comments regarding identification of spider will be greatly appreciated. 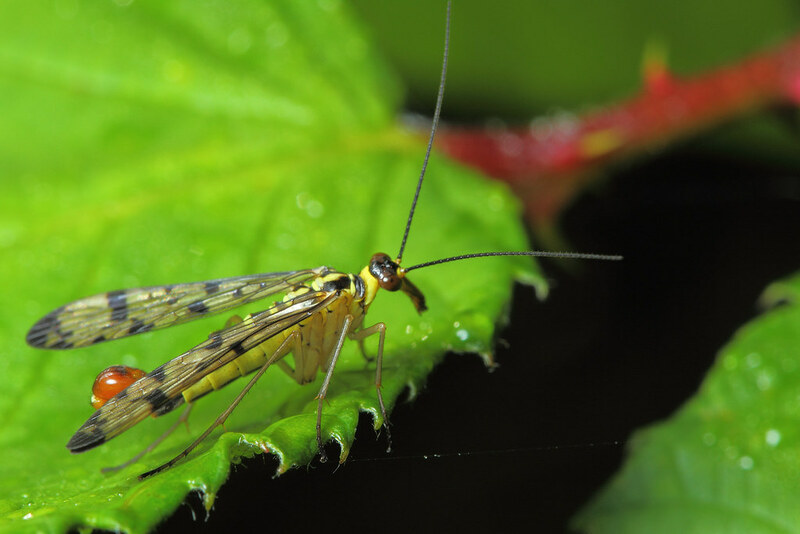 Found this Scorpion Fly also hiding in the cemetery, amongst the overgrown brambles, nettles and bind-weed. It has a long beak-like projection from its head that it uses to feed, scavenging on dead insects and frequently stealing the contents of spider's webs. It lives up to its name because of its scorpion-like tail, which the male uses in courtship displays. Very cool shots and narrative. Thanks. A wonderful collection of insects and beautifully photographed - great narrative too. One of the guys who used to post on here some time ago also like going into cemeteries for the very same reason. Lovely shots Alex, thanks for you thoughtful reminisce also. Lovely set. 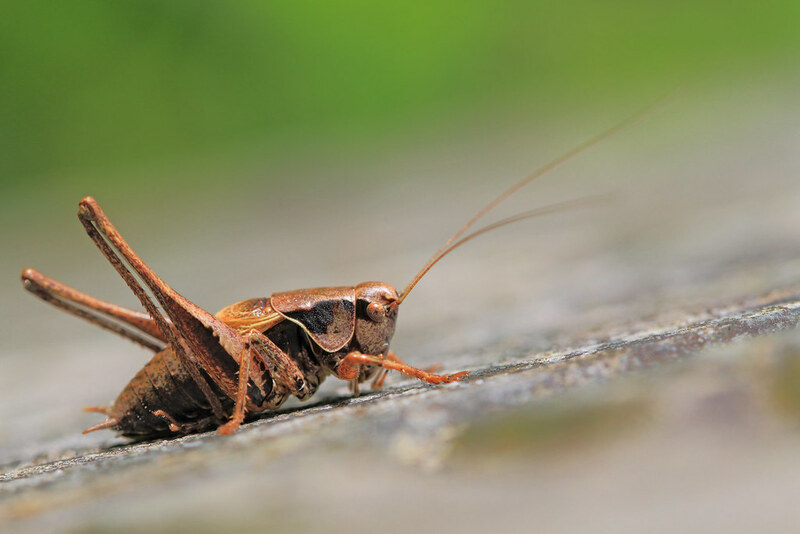 Esp like the scorpionfly and cricket shots. Nice set of N l images. I think the cemeteries in my area are not so wildlife friendly. Lovely looking set, great nl shots. Lovely shots Alex.....Did you use a extender tube ?? Hanalwala and Denis, thank you. Hanalwala, I didn't use any extender. 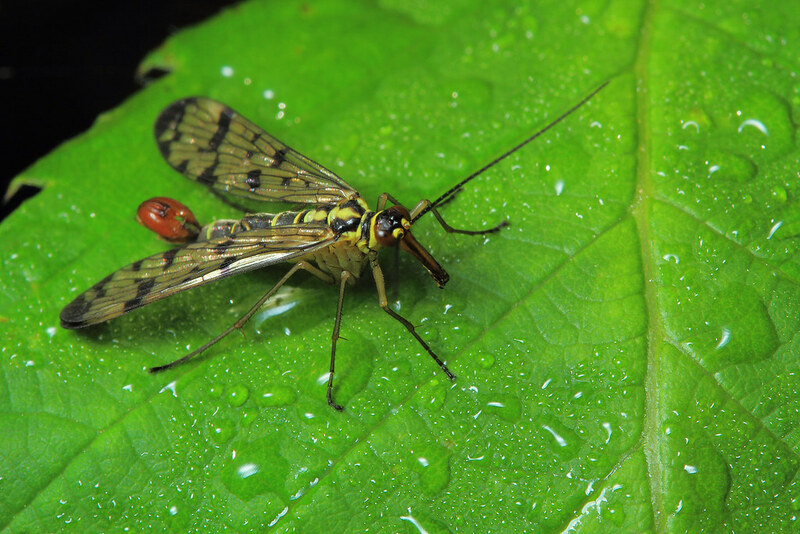 The Scorpion Fly shots were taken with my trusty 40D and MPE with heavily diffused 430EX II. 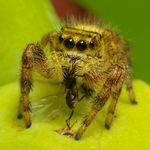 The spider was with 7D and Canon 100mm 2.8 macro and diffused flash. 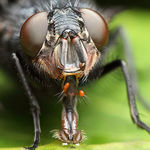 The rest of the shots were taken with the 100mm macro using natural light.